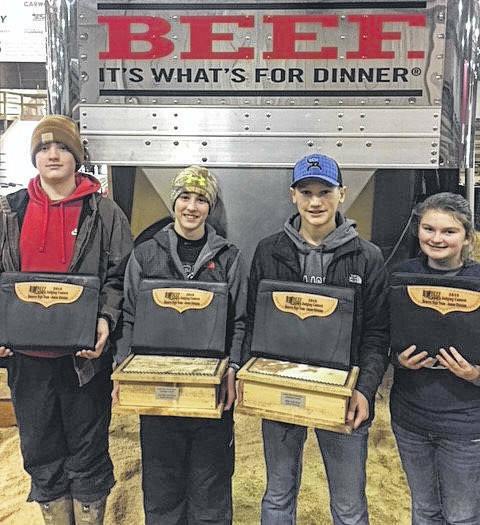 Four members of the Gallipolis FFA Middle School Livestock Judging Team recently placed second overall in the junior division at the Ohio Beef Expo. Team members were Dylan Brumfield, Bryce Hines, Beau Johnson, and Jaden Shriver. Beau was the team high individual at 1st overall; Bryce was 2nd overall. There were 130 participants from throughout Ohio in the junior division.